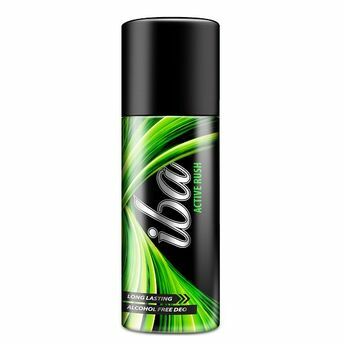 Iba deo sprays for men are India's first Halal certified deodorants. Its 100% Alcohol Free formulation provides long lasting fragrance keeping you fresh and energized all day. Its moisturising formula is gentle and soothing on the skin. Explore the entire range of Deodorants/Roll-ons available on Nykaa. Shop more Iba Halal Care products here.You can browse through the complete world of Iba Halal Care Deodorants/Roll-ons .